The term "Spelunking" is often used in reference to "Caving", mostly by those who never go into caves. If you've entered "spelunking, spelunker, or spelunkers + jamaica or jamaican" into a search engine, and arrived here, this page has been put up to help you find your way to the Jamaican Caves Organisation, the website for advanced amateur and professional Cavers in Jamaica. 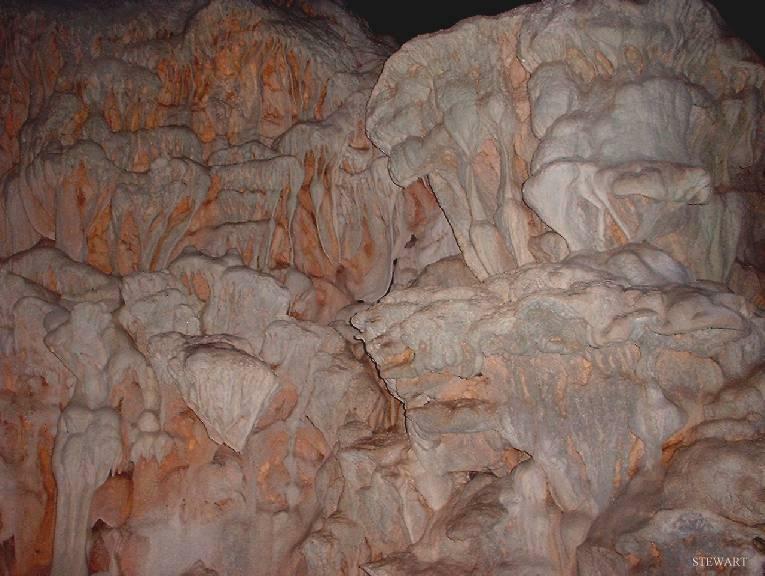 We've given you a nice picture of formations in Barrow's Cave, St. James, Jamaica, to look at as you pass through.